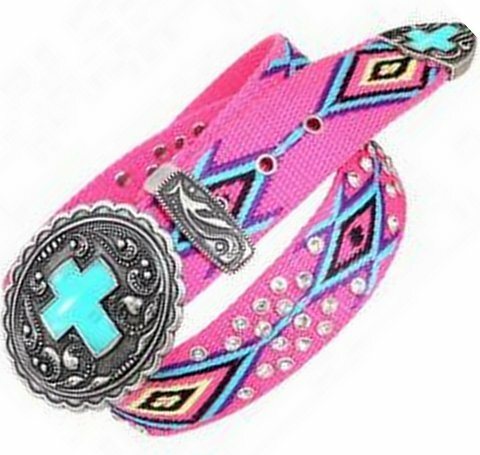 This gorgeous rhinestone studded serape belt features a bright pink with black, purple, yellow and blue woven colors and an intricate burnished silver buckle featuring a turquoise cross in the center. The belt end also has a matching cross in turquoise. Two sizes: S, and M. By Montana West.